Remembering that every claim involves a real person is always top of mind for this Argo Pro senior technical specialist. David Dineen had it all mapped out: Graduate from Wesleyan University, spend a couple of years working, and save enough money to attend law school full time. A couple of years turned into 10, and included stints living in Taiwan and Iceland working as an English tutor. Along the way he spent time as a real estate agent and web developer, before enrolling in Boston University Law School. Law degree in hand, he landed a job at a Boston law firm and before long was introduced to the insurance industry. In 2016, he joined Argo Pro as a senior technical specialist. For Dineen, whose undergraduate degree is in philosophy, working in insurance provides a constant learning experience, from day to day and from claim to claim. Years ago, Dineen was given a piece of advice he remembers – and puts into practice – to this day. A Connecticut native, Dineen is proud to be the first member of his family to graduate from college. Today he, his wife and their two daughters live in the Boston area. When he’s not at work, he enjoys spending time with his family, and in the winter that means hitting the slopes across New England. “My kids have grown up skiing, and I learned later in life. They are so much better than me on skis, it’s not even funny,” Dineen says. And when it’s time to relax, he loves to cook. Dineen says soon he might venture into baking. 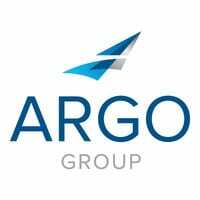 Visit argolimited.com/argo-pro to learn more about Argo Pro. Daniel Glass was on the New York law firm fast track. Then he learned how he could apply his experience and interests to insurance – and he hasn’t looked back.